This iconic renovation of the Hoover Building in Perivale, West London celebrates the architecture of its era. Careful restoration of the building will enhance and celebrate the magnificent features of this Grade II* listed national treasure. 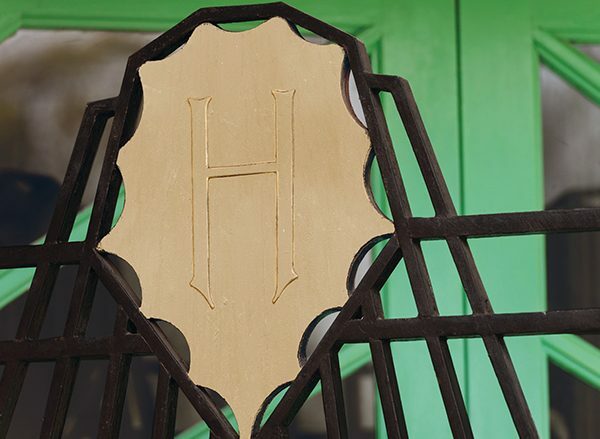 This incredibly designed, Art Deco, former factory was built in the 1930’s for The Hoover Company and has been transformed into 66 luxury studio, 1, 2 & 3 bedroom apartments. A contemporary style will bring the apartments to life with modern features and quality interiors, whilst this stunning art deco architecture will remain standing in all its glory. Located just off the A40, the Hoover Building is situated in the borough of Ealing and close to Wembley. This North West London postcode is still relatively undiscovered and yet to fully maximise its real estate potential, leaving the opportunity for growth in this investment very promising. The Hoover Building is perfectly poised to be amongst the West London scene in less than 20 minutes. Please register your interest by filling in the contact form. The interiors of these properties have been skilfully designed to contrast the original style and collaborate the old architecture with new modern design twists, interesting layouts and features. Each apartment boasts plenty of light and space, large windows and an open-plan layout, making an ideal family or entertaining area. The building comprises a number of arrangements including studio, 1, 2 and 3 bedroom homes and come specified with high quality interiors, including fully fitted, bespoke kitchens and contemporary bathrooms. A neutral colour scheme has been applied for a bright airy feel and leaves a simple palette for your personal touches. As a special measure to keep road noise to an absolute minimum, a dedicated sound proofing and air management system has been designed. 250-year lease to all apartments. Built to comply with all current building regulations. The building is highly insulated and requires much less heating than most other similar buildings, with the benefit of lower heating bills. Paxton Net 2 Video entry system providing secure entry to the building allowing access with keyless fobs or a personal code to communal entrance to the apartments. CCTV covering the internal and externals areas of the building. Custom made Hoover Building Internal doors finished in white with art deco ironmongery. Walls & ceilings finished in white matt emulsion. Art deco edged skirting & square edged architraves finished in white acrylic eggshell. Fitted frosted glass sliding wardrobes to principal bedrooms, fitted with shelf & rail. Two Art Deco inspired Hoover passenger lifts serving all above ground apartments. Original Art Deco features retained internally wherever possible. Original Art Deco doors & ironmongery retained & used in common parts wherever possible. Fully refurbished original Art Deco common part lighting now supporting LED fittings. on 2nd Floor (where indicated on floorplan). Private terraces to 2nd floor apartments (where indicated on floorplan). Underground car parking (Optional extra). The Building is sealed with no opening windows to apartments & fresh air being drawn from the roof of the building through filtration systems. This ensures the best air quality & noise protection for the building. Heating – will be ceiling or wall mounted fan coil units supplemented by MVHR units. Bathrooms are complemented with electrically heated towel rails. Water – will be with a hot water cylinder & immersion elements or added boost. Cooling – bedrooms & living rooms will feature a background comfort cooling facility. Cast iron double ended baths. Three way shower diverter with rain shower head, hand held shower & bath spout (for bath set up). Two way shower diverter with rain shower head & hand held shower (for en-suite set up). Recessed mirrored cabinet above basin. Ceramic 600mm x 600mm feature tiled wall behind the bath. Shaver socket (within mirrored cabinet). Recessed lighting to kitchen, bathroom & hallway. Wall lighting to living & bedrooms. Chrome sockets & switches (white sockets & switches used in ‘out of sight’ positions). Pre-wired to accept Sky+, Virgin, Freeview TV, telephone & DAB & FM radio to living / dining & bedrooms. Wired for 100mb Fibre Optic Broadband (Subscription required with Hyperoptic). Networked with CAT 5e cabling to living / dining & bedrooms back to the service cupboard. Mains power, battery backed up smoke detectors. Hardwood oak flooring throughout the living room & entrance hall. Ceramic 600mm x 600mm tiled floor in bathrooms. High performance double glazed secondary glazing sitting behind the listed Crittall windows. Thicker walls & roofs to allow for increased u-values in excess of current regulations. Bike store with CCTV monitoring & keyless fob only access. Bin store with CCTV monitoring & keyless fob only access. Maximized light & space to allow for more natural daylight. Sealed building with acoustic detailing & specifications for increased acoustic performance. Networked with CAT 5e cabling living / dining & bedrooms back to the service cupboard. Matt finished, handleless contemporary kitchens with Art Deco detail. Fully fitted with Hi-Macs Natural Acrylic Stone surfaces. Hi-Macs Natural Acrylic Stone splash backs. Recessed LED lighting under kitchen wall cupboards. Hoover stainless steel appliances; oven, hob. Integrated Hoover dishwasher & fridge freezer appliances & extractor. Hoover washer / dryer located in service cupboard. Airports – Heathrow is the closest Airport and can be reached in just over 20 minutes from Perivale by car. is a 17 minute journey to Notting Hill Gate – where the line meets the district and circle lines – and 25 minutes to Oxford Circus. Great Western Trains from South Greenford Train station (also known as West Perivale station) offers a service to Paddington in just 22 minutes. The railway line also offers routes to Henley-on-Thames and Reading via a change at nearby Ealing. Perivale is located beside the Western Avenue and one of the main arteries into and out of West London. It is connected to the Westway and the A40 and also offers easy access to Greater London via the A406 and the M25. Perivale has an excellent bus network with a number of routes that include destinations such as Shepherds Bush, Willesden, Wembley, Ealing, Greenford and Southall. Several of these offer a 24 Hour service. Probably the UK’s most famous sports and entertainment venue, lies just off the A40. This magnificent stadium plays host to some of the most prestigious sports meetings and music concerts, from international football and boxing matches to superstar singers and rock bands; the line-up is always formidable. Often described as cosmopolitan and captivating, Notting Hill offers an eclectic mix of artistic expression in every form. 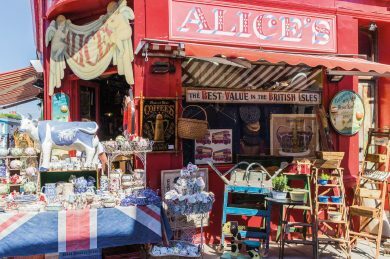 Full of life, this part of town is home to the famous Portobello Road Market and the Notting Hill Carnival. Populated with galleries, quirky shops and antiques, there’s never a dull moment here. you will find a playground, café and some allotments. Similarly, Perivale Park is another open space with a children’s playground and is often used for sports meetings, namely football and cricket. 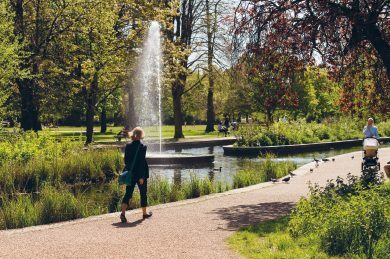 Slightly further afield, you can find a more formal Green Space at the Botanical Gardens of Kew and as expected these well-maintained Royal Gardens are a real spectacle. The venue runs a programme of events throughout the year to keep families entertained. The go-to West London destination based in Shepherds Bush, is the Westfield Shopping Centre. 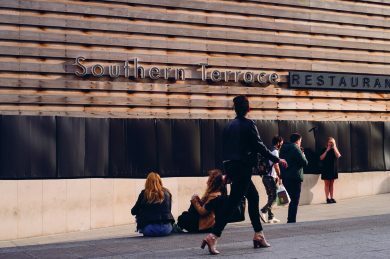 Packed with hundreds of high street and designer stores, restaurants and a cinema, it’s a place to shop, eat and be entertained under one roof. 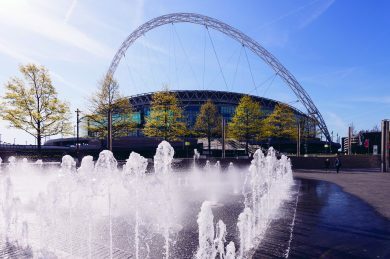 For a designer bargain, head to the nearby London Designer Outlet in Wembley Park, which – amongst its many fashionable stores, boasts a cinema and plenty of eateries. After celebrating victory following the first world war Britain entered an unforgettable decade coined the “roaring twenties”. For those that could afford it, life was fun and carefree. Women over thirty had been given the vote and after working in factories during the war, there was a real sense of independence and achievement amongst the young. For many business owners, it was a prosperous time and the country seemed to be booming. This led to a change in architecture and interior design with famous hotels such as Claridge’s undergoing expansion and refurbishment in the opulent Art Deco style. This trend translated to many of the factories that were popping up along major arterial roads in West London and Park Royal, such as The Firestone Tyre factory on the Great West Road. These prestigious facades showcased the importance of these corporations, like huge adverts on the roadside. There was no expense spared when it came to American corporations setting up in London in the 1920’s and 30’s. The large factories set up along London’s arterial highways, which became know as the “Golden Mile”. In 1931 the Hoover Company commissioned Wallis Gilbert and Partners to build their factory in Perivale as a manufacturing base for the company’s British vacuum cleaner division. The design, which was incredibly ambitious, took on a grand, palatial facade of huge columns and recessed glass bay windows, but the most iconic feature was the central entrance which was decorated above with a dramatic, geometric sunburst pattern, which sat beneath the huge “Hoover Limited” lettering. Hoover would go on to open its door in 1933 and employ over 600 staff, whilst continuing to work on extending the factory. The building was included in the statutory list of historic buildings in October 1980 at Grade II*. After several years of sitting vacant, IDM Properties acquired the Hoover Building in 2015, with plans to redevelop the building into residential accommodation, converting the premises into 66 apartments comprised of studio, 1, 2 and 3 bedroom homes. Together with English Heritage and London Borough of Ealing, IDM have invested heavily in the preservation and restoration of the historic features that remain within this iconic national treasure. The architects have combined this with contemporary designs using modern build techniques that will be sympathetic to the original site. Every design detail has been scrutinised to ensure a light, contemporary and functional living environment is achieved for each apartment.